Charmed by a Finnish friend’s tales of cloudberries, reindeer, snowy landscapes and northern lights, I jumped at the chance to visit Finland when invited. 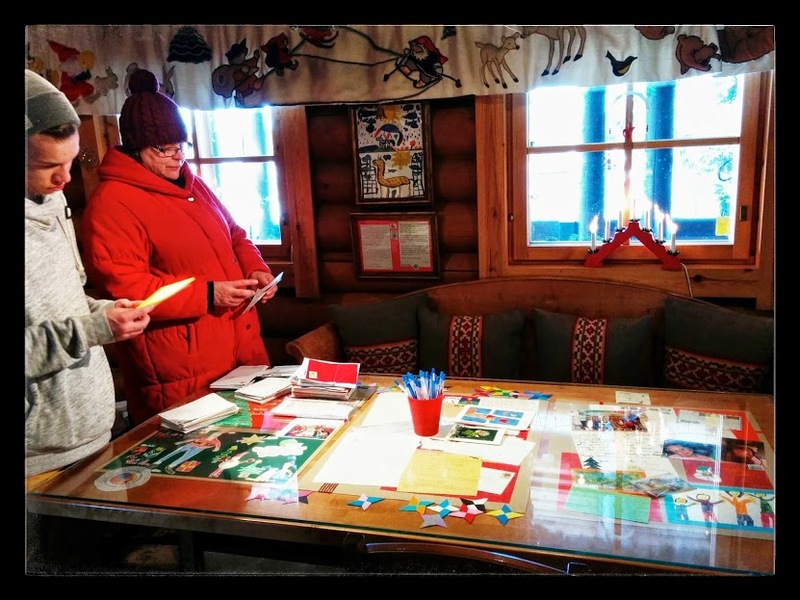 Even more exciting was the fact that we would drive far north to Rovaniemi, in the arctic circle, as her son was participating in the winter swimming championships. Driving north from Helsinki to Rovaniemi, my friend pointed out how the fir trees become smaller and smaller in the arctic climate. We were there at the end of a winter that had not been too cold, so there was not that much snow around, but her family had shown me photographs of the magical landscapes you can see in the area when the snow is high. 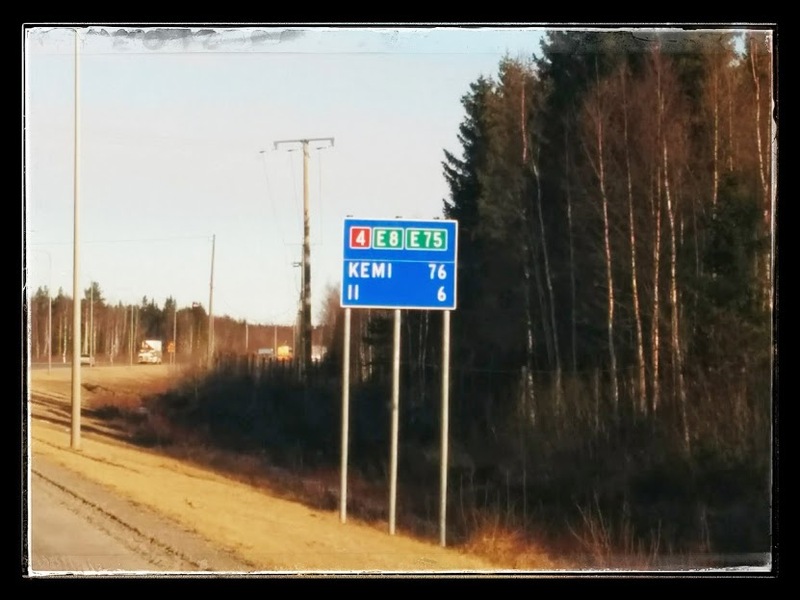 It was exciting to drive past places with exotic names like Oulu and Ii, and the signboard that told us we were entering the Arctic circle. Before the swimming competition we had some time, and so the four of us, my friend, her son, his swimming coach and me, decided to pay a visit to Santa Claus’s village. Since we were there not long after Christmas, it was fairly quiet, I guess most of the elves were now on a well-deserved holiday and Santa was taking it easy too. 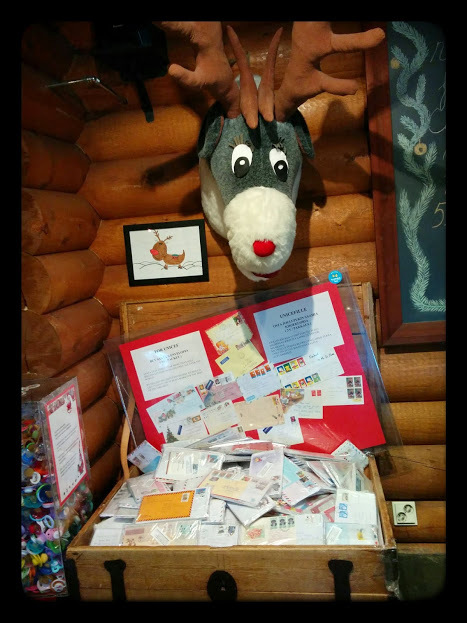 We paid a visit to the postal office where thousands of letters arrive each year from countries all of the world for Santa. 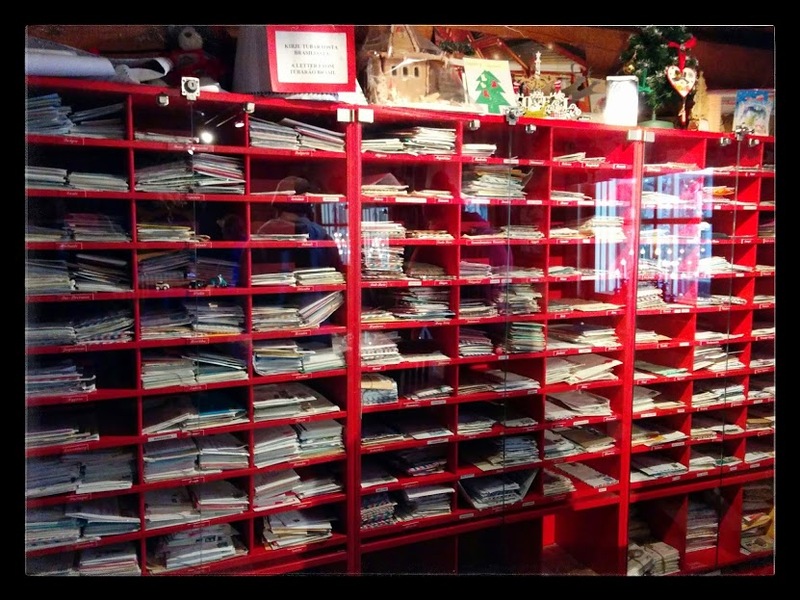 Some of these had already been filed away under the different countries, while others were still on the post office table, where we could sneak a peak at what kids had asked for that year. 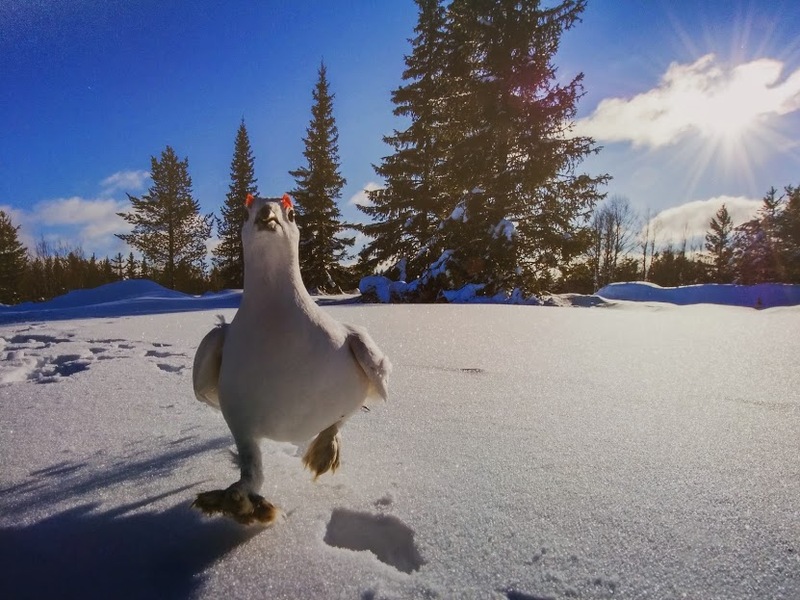 From the post office you can also send your own postcards, which have the stamp of the Arctic circle on them – definitely too good an opportunity to pass up! After visiting the post office, we went to visit Santa himself, passing through areas decorated in great Christmas style of course. It was interesting to see photos on the wall of all the famous people who had visited the village over the years. Santa was definitely surprised to see someone from as far away as South Africa, the other end of the word, really! As well as taking photos of you when you meet him, the elves also take a video, which is quite fun to watch back afterwards. Meeting Santa must be a real highlight for the kids who come here. Apart from Santa’s village, Rovaniemi is a great place to visit because you can go cross-country skiing through fir tree forests, gaze at the northern lights, learn about the culture of the Sámi people (also known as Lapps or Laplanders in English), take a sled ride, meet some reindeer, and visit the interesting environmental museum with interactive exhibits (amongst other things, have you ever heard of chicken bird, a large Finnish bird? Neither had I, but this is what my friends call it in English). 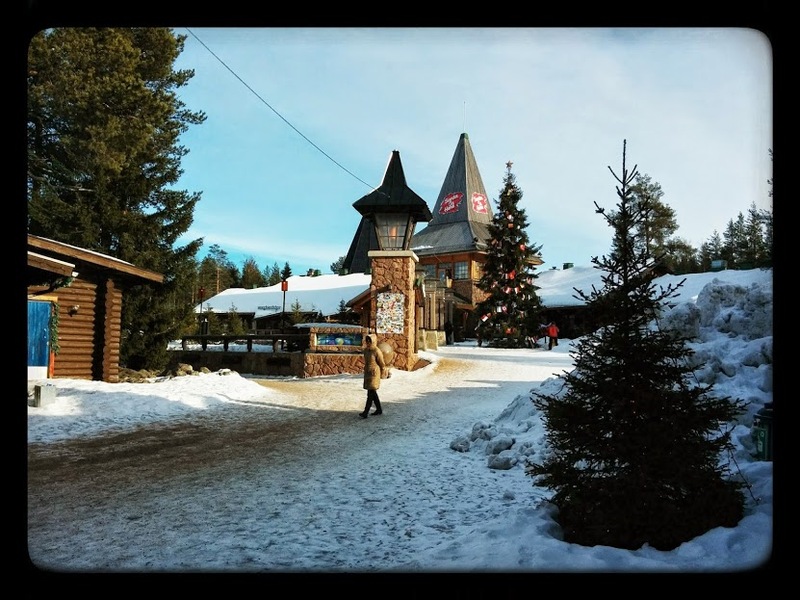 I’ll leave you with some great photos of Santa’s village and Rovaniemi from Rovaniemi’s tourist association, whose website is here. These are sure to put anyone in a Christmas mood!